The 7 Best User Generated Content Examples From Brands on Facebook. Big-name brands are integrating UGC into their Facebook ads and getting huge results. Here’s how you can do the same. Last year, Facebook hit the headlines when it said it was running out of advertising space in News Feed. The potentially infinite Facebook newsfeed is getting clogged up. Fast. Since the announcement, marketers have felt the pinch, which has revealed itself in decreasing organic search returns and pricier ads. 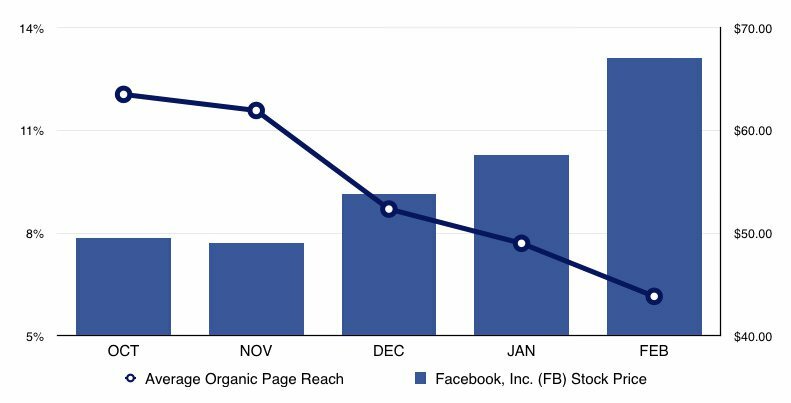 But there is one strategy that, despite all this, is helping brands get more bang for their buck (and more conversions) on Facebook. A glut of marketers have found that social ads that showcase user generated content in the form of reviews and customer generated images perform much better. They are more relatable to shoppers and more authentic—something consumers are craving at the moment. Let’s look at some cold, hard facts about why UGC is so valuable for Facebook ads. The heightened engagement and affordability of user generated content makes it an incredibly powerful tool for brands, and these stats heartily back that up. And when it comes to conversions, UGC shared to Facebook sees conversions that are 40% higher than the industry average. So now you know why user generated content marketing is so effective in Facebook ads, let’s take a look at some brands that are hitting the mark. But first, see our interview with Lonely Planet on their UGC Strategy and read more about how to turn customers into brand advocates! Blenders Eyewear seamlessly blends reviews and star ratings into their ads using Facebook’s Dynamic Product Ads format. Not only does this mean they’re targeting shoppers who have already shown an interest in their products, but they also take it one step further and add a persuasive dose of social proof to help buyers validate their choice. What did this mean for Blenders Eyewear? As a result, the brand lowered their CPA by 38%, increased their return on ad spend by 62%, and decreased their CPC by 40%. The ads also generated a constant flow of likes, comments, and shares, which helped increase the ads’ relevancy score on Facebook (which is vital if you want your ad to be seen by the right people). “Having the UGC baked into the ad unit in the form of a featured review elicits a higher engagement rate from our audience and does a great job of turning prospects into customers,” claims a spokesperson from the brand. Handpick the best reviews from your previous customers and integrate them into your Facebook ads for a more authentic, persuasive result. Pura Vida’s products were made for Facebook. Their pretty designs are vibrant enough to stand out on the newsfeed, and their whimsical nature conjures up images of beaches and far-flung adventures—exactly what consumers want to lap up while they’re slaving away at work. The brand integrates customer photos into carousel ads to create a moving snapshot of the “dream” lifestyle. What did this mean for Pura Vida Bracelets? By fully making use of UGC, they provide an authentic insight into the brand and stand out on users’ newsfeeds. The campaign has increased the CTR of their ads which, over time, has led to a drastic surge in conversions. Hunt down standout images created by your customers to create a real-feel vibe on your target audience’s newsfeeds. By integrating natural content, users won’t skip over it like they might do with highly-polished ads that look like ads. Research has shown that UGC is more relevant and trusted in the eyes of consumers, which means it is a powerful tool for increasing ROI. Crown Resorts have taken advantage of this knowledge and come up with a relevance-driven approach to their Facebook ads. To carry it out, they identify the best customer-created visual content, get permission quickly, and start promoting it as soon as possible via Facebook ads. What did this mean for Crown Resorts? Jumping on the bandwagon quickly and integrating customer-created photos as soon as they’re posted created an almost “live”, in-the-moment feel for Crown Resort’s campaign. On top of that, their ads with UGC achieved 25% more likes and 21% lower CPMs. Over time, the ad campaign encouraged a 25% increase in positive sentiment about the brand, too, cementing a story and an overall enjoyable customer experience. The key here is to find customer-created content as soon as it’s published and create a campaign that is highly relevant and timely to your audience. The in-the-moment approach is incredibly powerful when users’ feeds are constantly being updated with new and exciting content. Toyota’s annual “Feeling the Street” campaign is a prime example of a brand doing awesome things with UGC in Facebook ads. Over a period of six weeks, Toyota collected the best user created content from Instagram and integrated it into standout Facebook ads. What did this mean for Toyota? By handpicking and sharing the most engaging user generated content, Toyota received more than 1.2 million likes, comments, and shares across the campaign. And, without raising their budget, they managed to secure a 440% increase year-over-year in ad engagement. The most noteworthy part of Toyota’s “Feeling the Street” campaign was its selection of user created content. Instead of picking visuals randomly, they actively selected content that was already performing well across other social channels. The internet loves animals. Fact. It was no surprise that Pawstruck’s Facebook ads performed well because people love to look at cute pictures of puppies, but by integrating UGC into their campaigns they took the world’s adoration for all things cute to another level. The brand took user generated images from other social channels like Instagram and Twitter, and implemented them in a carousel ad format along with customer reviews—kind of a double whammy of UGC. What did this mean for Pawstruck? After utilizing UGC in their ads, they benefitted from a 30.3% increase in CTR and a 33.6% decrease in CPC. That translated into a CPA that was five times lower than their non-UGC ads and a CTR that was three times higher than normal. Aside from using animals in their ads, Pawstruck got another thing right. Instead of using either customer reviews or customer images, they combined the two together to create an even more powerful set of ads. Rather than just using one form of user generated content, why not integrate two or three to really hammer home your brand? Adventure and high-adrenaline sports companies aren’t newbies on the UGC block—just take a look at GoPro, who have an entire YouTube channel dedicated to content shared by their customers. For AJ Hackett Bungy, integrating user generated content into their Facebook ads was a no-brainer. They implemented photos created by their previous customers into a series of carousel ads to boost authenticity and to show a perspective of the company that people could get excited about. What did this mean for AJ Hackett Bungy? As a result of the campaign, AJ Hackett Bungy saw a 44% increase in CTR, a 60% increase in ad engagement, and a 13% decrease in CPC. The carousel ad format works well for UGC Facebook ads because it gives users a selection of images to scroll through, which means there’s more chance of them stumbling across one they can relate to. By implementing customer created visuals in their carousel ads, AJ Hackett Bungy increased the chances of connecting with potential customers in an authentic and natural way. Furniture and houseware retailer West Elm was quick to jump on the user generated content bandwagon when it came to their Facebook ads. For the last few years, they’ve been experimenting with a UGC-inspired approach to their campaigns, collecting images from the popular #mywestelm hashtag on Instagram, Facebook, and Twitter. They then implement these visuals in a series of carousel ads. In one experiment, the brand ran an A/B split test that ran two campaigns side-by-side. In one, the visuals were handpicked from the brand’s hashtag, while the other incorporated their regular Facebook content. What did this mean for West Elm? The experiment produced some amazing results. The CTRs of the UGC ads were 2.6 times higher than the regular ads, and the visitors that clicked through to the website from these ads converted at a rate of three times higher than the regular ads. Facebook ads can be difficult to get right, which is why experimentation and testing are key. Try running a split test like West Elm to determine which content performs the best, and then create deeper campaigns that integrate the most engaging and conversion-friendly user generated content. Brands that have been integrating UGC in their Facebook ad campaigns have witnessed the power of authentic, relatable content. Not only have they seen a surge of engagement on their Facebook pages, but they’ve converted more customers and created a brand experience that keeps consumers coming back for more. By handpicking the most compelling content created by their customers, these brands are including the most important people in their businesses—their customers—and driving their content strategy through what their audience actively wants to see and what they actually respond to. And, with 48% of consumers agreeing that UGC is a great way to discover new products, it’s not just a strategy reserved for big-name businesses. In fact, integrating user generated content into a Facebook campaign can help consumers get a better idea about a product quickly and make a snap decision about whether they want to buy from the brand or not. Are you ready to start leveraging the power of UGC in your Facebook ad campaigns?